KAILUA-KONA, Hawaii – Lyle Anderson, a Hurricane triathlete battling multiple sclerosis, will defy the odds by competing in the Ironman World Championship in Hawaii on Saturday. told by doctors he would likely be wheelchair-bound in the future. This tragic news sparked a new motivation within Anderson, 36, to follow his dream of completing an Ironman triathlon. 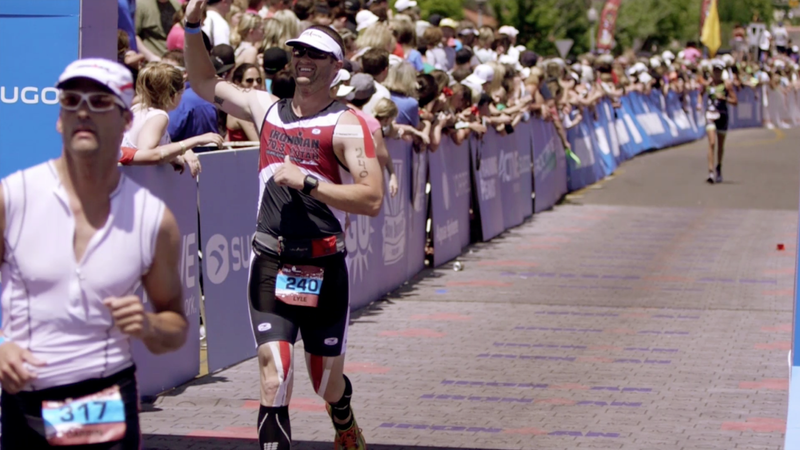 Before long, Anderson was hooked on what he calls “the Ironman lifestyle.” Not only did he complete the 2013 St. George Ironman with a time of 6 hours, 22 minutes, 44 seconds, he qualified for the world championship. Even before being diagnosed with MS, Anderson has been inspiring others. “He’s all about anything he can do to help inspire people to see their best selves regardless of their challenges,” close friend Joshua Taylor said. Taylor said that Anderson has always been very engaging to everyone in his life. He makes others feel like they’re important. The Ironman is one of the most grueling tests of athleticism and willpower in the world. Qualifying races, like the St. George Ironman, consist of a 2.4-mile swim, a 112-mile bike ride and a 26.2-mile run. Making it through to the world championship is a major accomplishment, and that is what Anderson desires. “I want to finish the day conquering something big,” he said. The race will be streamed live online starting at 10 a.m. local (Southern Utah) time and re-broadcast on NBC Nov. 16 at 4:30 p.m. To follow Anderson’s progress minute-by-minute on race day, use the athlete tracker.